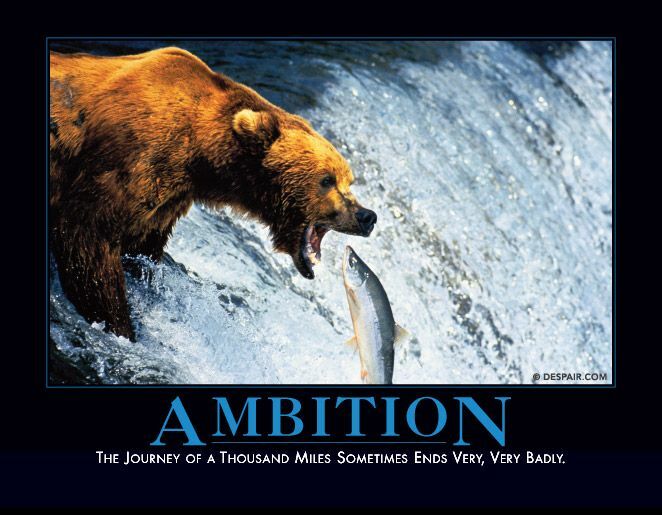 Motivational posters are commonly used in companies, schools, and other institutions. Famous inspirational quotes and motivational posters seem to haunt every wall, but do they really work? Some might be inspired and encouraged by them, many won’t even notice their presence. “If they’re part of a broader campaign, with clearly outlined goals and a commitment from management, they may have some impact, but a motivational poster alone is like a drop of rain in the ocean,” claims Kenneth G. Brown, a researcher and associate professor of Management & Organizations at the Tippie College of Business. Motivational posters have been repeatedly parodied over the years. 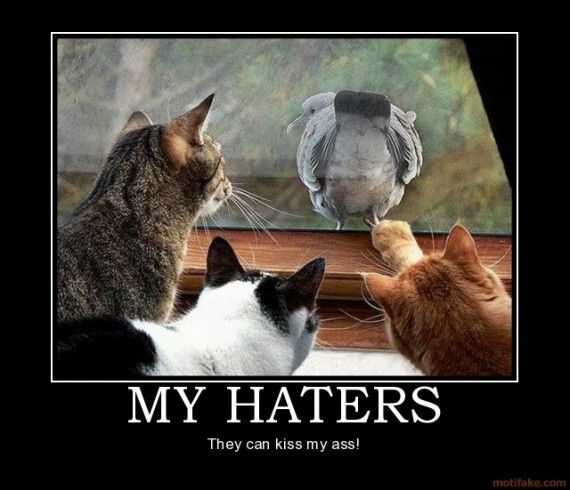 This Top 10 list features some of the most popular and funny animal demotivational posters. 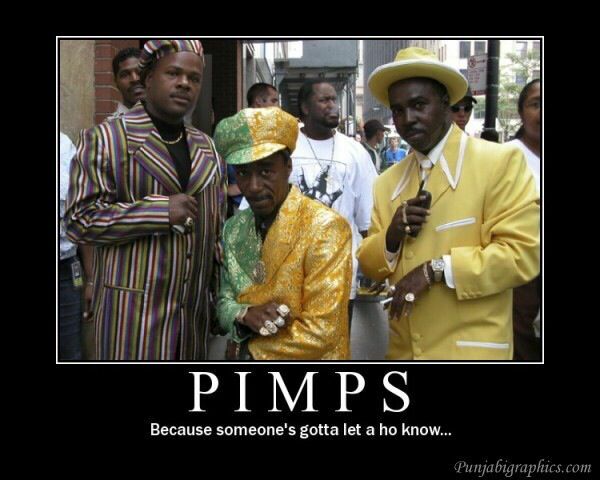 I’ve always asked myself why pimps dress so flamboyantly. No matter if Americans or non- Americans, ‘black or white’, you can always spot them. Wearing a purple velvet suit on street corners draws a lot of attention! Let’s take advantage of this opportunity and clear some myths about cats and their nutrition. 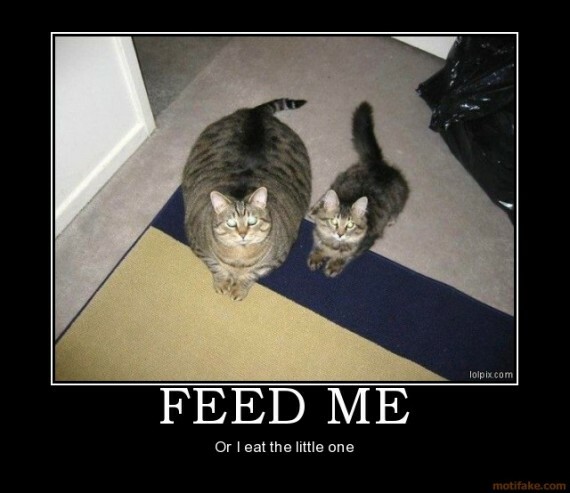 Cats won’t get lazy and fat after being neutered, unless the owner feeds her/him too much. Not playing, exercising enough and eating too much will make the cat gain weight. Cats should drink milk every day, right? Wrong! Most cats love milk, but don’t need it on a daily basis if properly nourished. If the owner respects some basic rules, the cat will not become obese and will not feel the need to ‘eat the little one. Funny poster, but polar bears live in the Arctic Circle spending most of their time roaming the Arctic on large ice blocks, while penguins live in the Southern Hemisphere in Antarctica. Polar bears and penguins inhabit different parts of the world. Don’t let Santa Claus, Coca Cola, cartoons or anyone else pull the wool over your eyes. The ‘arrogant’ pigeon and the funny slogan remind me of the pigeons from Bolt, the 2008 animated film produced by Disney. The characters were all great, but the pigeons were the stars of the movie. The pigeons’ personalities and accents were used to depict the stereotypes of people from the South, New York and Hollywood. 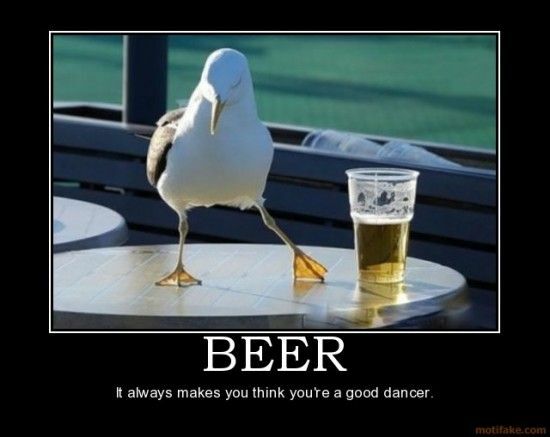 Beer tricks you into thinking that you’re a first-class dancer…couldn’t agree more. Guys, if you feel uncomfortable on the dance floor, try to move with the music, be natural and don’t try to impress anyone, try to do less rather than more. Let the rhythm take you away without having to depend on alcohol to have a good time. The first material that went viral was the video, then the poster. The video was posted on Spynet.ru, a Russian website. This poster is absolutely hilarious. 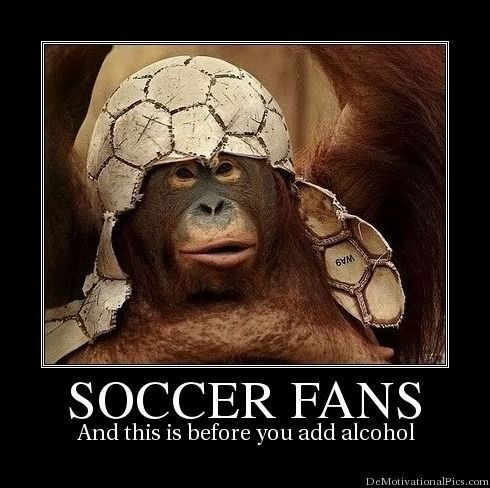 Soccer fans are thought to be some of the most loyal and passionate fans in the whole wide world and there are many reasons for this. They buy apparel, dance and sing at the top of their lungs, they go out of their way to cheer for their favorite teams, regardless of any inconvenience or embarrassment that might result. Richard Gilman once said: “Being a sports fan is a complex matter, in part irrational but not unworthy, a relief from the seriousness of the real world, with its unending pressures and often grave obligations.” Soccer fans travel great distances to see games, they “they live and die with each pitch, pass or shot” and yes…they love to party! MotiFake created an amazing collection of communication themed posters. It was really hard to choose one of them, but this deliciously cynical poster is a masterpiece and deserves a place on this list. 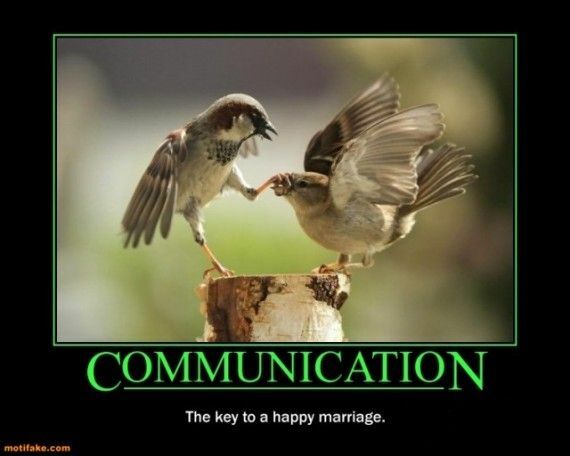 According to a recent study published in Psychological Science, a leading international journal, there is another key to a happy marriage: be delusional! The conclusion of this study is that seeing a partner with rose-colored glasses may help love last. “People who were the most idealistic about their partner in the beginning showed no decline at all in satisfaction over the first three years of marriage,” says study lead author Sandra Murra, psychology professor at the State University of New York at Buffalo. Read more here. From the creators of the first demotivational posters, Despair, Inc., this poster sums up how we all fell sometimes. 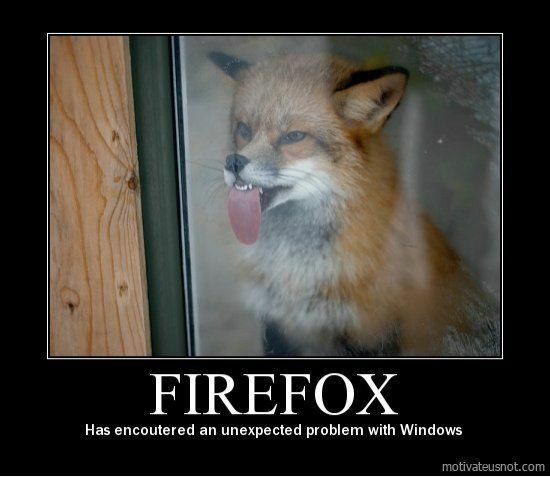 Futile, but funny! Salmon swim upstream to spawn in the same location they’re born. Why do they do that? 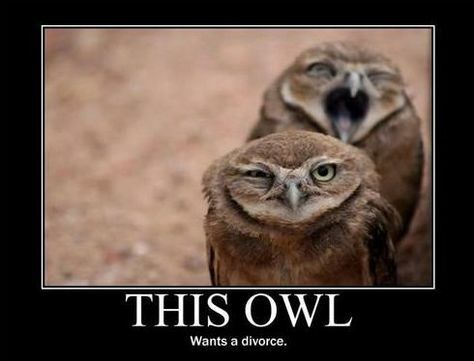 These two adorable owls are Burrowing owls. They are officially classified as a Species of Special Concern in most of the western US. Burrowing owls are endangered in Canada, threatened in Mexico and their numbers are rapidly dropping due to habitat loss. The text just doesn’t add anything of value. In fact it just ruins the humour of the poster. 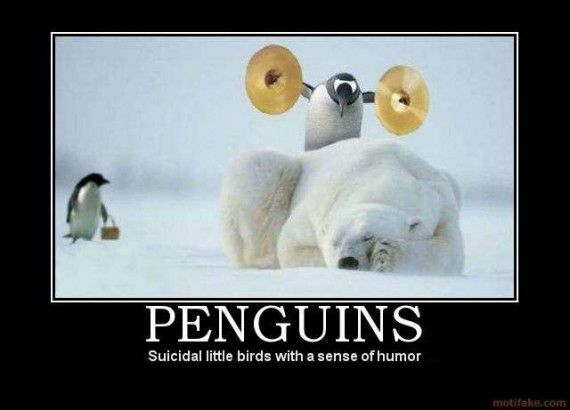 The text adds a lot to some of the posters; I love the bit about penguins being suicidal with a sense of humor. Text helps! What Gerald ment was the text that came after some pictures, not the text whitin the pictures.. I love those pictures! so funny! Hi there to every body, it’s my first visit of this webpage; this weblog consists of awesome and in fact excellent stuff designed for visitors.